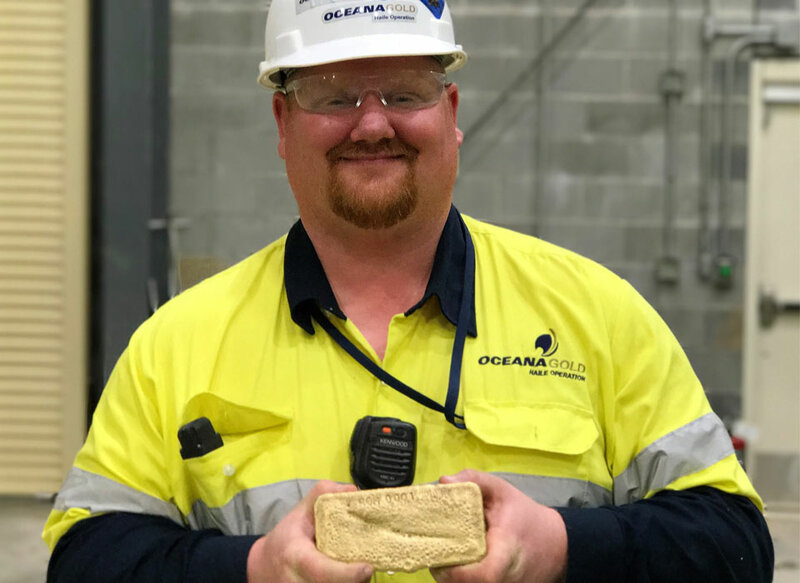 (Kershaw, S.C.) OceanaGold Corporation’s Haile Gold Mine is pleased to announce that the inaugural gold pour took place late in the early morning hours of January 20, 2017. This is a significant achievement for this historic Lancaster County gold mine as it is now officially a gold producer – again. The 445 ounces of gold are the first gold produced by the new Haile Gold Mine. Michael Deal, Haile’s Lab Manager and Metallurgical Superintendent proudly holds the first gold doré bar. As previously announced, OceanaGold expects to produce 150,000 to 170,000 ounces of gold at Haile in 2017 at sector leading All-In Sustaining Costs between $500 to $550 per ounce. The Haile Gold Mine already has had a significant economic impact in Lancaster County, the surrounding communities and the state. The operation currently employs more than 700 people, with 89% of employees living in the surrounding communities, and spends more than $3 million each month locally through labor and the purchase of local goods and services. Haile also generates roughly $70 million annually in direct and indirect revenue in local counties, which has led to new opportunities to improve support for schools, police departments, fire departments, and other key civic initiatives. 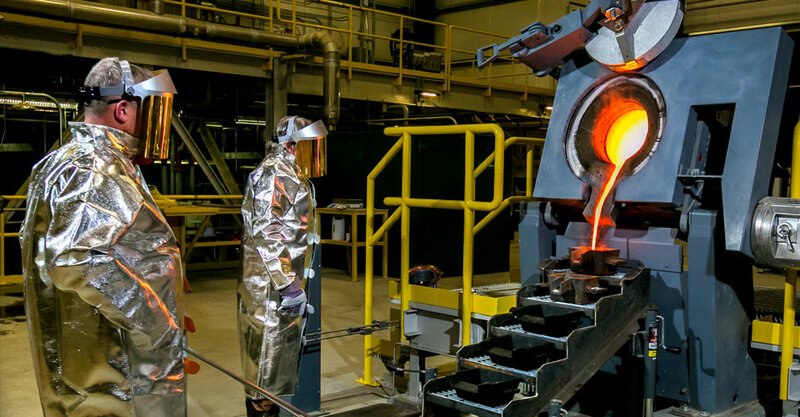 Members of OceanaGold’s Haile metallurgical team overseeing the pouring of the molten gold. OceanaGold Corporation is a mid-tier, low-cost, multinational gold producer with assets located in the Philippines, New Zealand and the United States. The Company’s assets encompass its flagship operation, the Didipio Gold-Copper Mine located on the island of Luzon in the Philippines. On the North Island of New Zealand, the Company operates the high-grade Waihi Gold Mine while on the South Island of New Zealand, the Company operates the largest gold mine in the country at the Macraes Goldfield which is made up of a series of open pit mines and the Frasers underground mine. 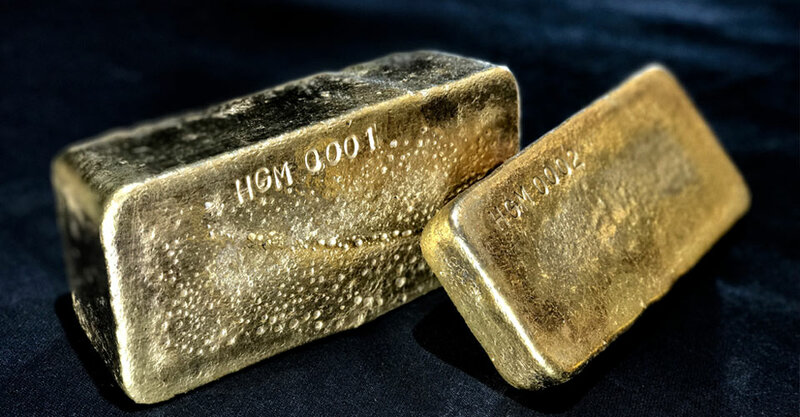 In the United States, the Company is currently constructing the Haile Gold Mine, a top-ier asset located in South Carolina along the Carolina Terrane. The Company expects the Haile Gold Mine to commence commercial production in early 2017. OceanaGold also has a significant pipeline of organic growth and exploration opportunities in the Asia-Pacific and Americas regions.